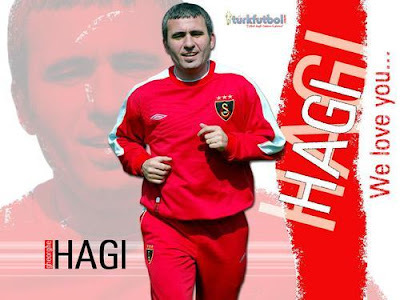 Gheorghe Hagi Biography – Introduction - Admittedly, Romania didn't produce that many great players throughout its century long soccer history, but the 80s saw the rise of Gheorghe Hagi, who will soon become an international star & a hero in his homeland. Wherever he played, Hagi left his mark on the game and he was the first Romanian player to truly play at the highest club level possible, since he managed the rare feat of playing for both Spanish giants, Real Madrid and Barcelona. He had his best time however with Romanian team Steaua Bucharest and Turkish side Galatasaray, but before we get there let's see how he started his career. Born near the Romanian port city of Constanta, Hagi started playing for the local team Farul since an early age. He shone out ever since he was a young boy, despite his small frame and fragile look. He did not have the sheer power of his teammates, but he had an outstanding technique, allowing him to play in championships with kids 3-4 years older. He came from a modest family, so his youth coach, Iosif Bükössi, would often have to buy him road snacks and soccer shoes. At age 17, Gheorghe Hagi was selected for Farul's senior team, but he would not play there for more then a season, being bought by much wealthier Bucharest-based team Sportul Studentesc.In the 4 seasons spent at Sportul, Hagi became a name in Romanian soccer. He was top scorer for the club with no less than 58 goals in 107 matches. This attracted the interest of several European clubs, but with the communist regime still reigning in Romania, he moved to Steaua Bucharest, who just managed themost important achievement in Romanian soccer history, namely winning the European Cup (today's Champions League) in 1986 and thus qualifying for the Super Cup. Actually, Hagi was given an original contract that would last just one match; the final! Gheorghe Hagi Biography – Steaua Bucharest - He played in the Super Cup against UEFA Cup winners Dynamo Kiev and Hagi managed to score the only goal of the match, from a superb free kick. 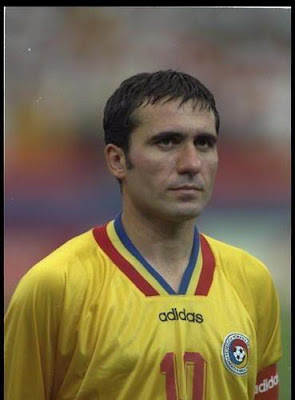 After this feat his contract was prolonged and Hagi played for Steaua another 3 seasons, in which he scored 76 goals in 97 matches, before being picked up by Spanish giants Real Madrid. Hagi spent 2 seasons for each of the above mentioned teams, but unfortunately didn't manage to win any trophies in Spain with either Real or FC Barcelona. He played 67 matches for Real, scoring 15 goals but he found it hard to adapt to the Spanish soccer and lifestyle, so he decided tomove to Brescia in Italy's Serie B (Second Division) where he would be coached by one of his career's mentors, Mircea Lucescu. Winning promotion with Brescia, Hagi was on his way for fame again, but unfortunately Brescia dropped right back in Serie B after one season and Hagi was still in his career's prime and did not want to waste away in a second division, be it the second division of themost powerful championship in the World at that time. His move from Brescia to FC Barcelona saw him return to the Spanish championship but this time with even less success than at Real, since he only played 35 matches for Barca, scoring a total of 7 goals and not winning any trophies. In 1996, he decided to move closer to home and play for Turkish side Galatasaray Istambul. Already 31 years of age, many rushed to say thatHagi was a finished player, but at Galatasaray he had the best time of his career.